The retail world of today is radically different from what the industry looked like just a few years ago, thanks in large part to the increasing prevalence of eCommerce as many consumers’ preferred way to shop. So many innovative approaches to marketing products and services have arisen that it is more essential than ever before for your business to take note of what works and what does not. Take, for instance, the current dilemma that Uber is contending with over its signature policy of surge pricing. Within this example alone lies a vital lesson about how to make the most out of a fresh way to serve your customers. The most ubiquitous of the current online transportation companies, Uber has operated for years with surge pricing in place. The company’s mobile app employs an automatic algorithm that increases fare rates whenever demand is higher — such as during morning and evening rush hour, the holiday season or inclement weather conditions — and depending on the number of drivers in the immediate area. Although intended to ensure availability for devoted customers and encourage drivers to hit the road for some extra cash, surge pricing has been the center of controversy among some customers. Despite the inherent benefits in this pricing approach, Uber’s efforts to balance supply and demand of its own service have had decidedly mixed results. Regardless of Uber’s intentions with surge pricing, the practice has been seen as unethical and exploitative, using an automated system to capitalize on busier times of day to ratchet up profits. However, based on Uber’s business model, sound rationale lies behind this tactic that could easily explain how surge pricing is a legitimate way to offset demand and not simply a blatant case of price gouging as some have claimed. After all, Uber does allow users to receive notifications when prices have increased to surge levels and/or when they return back to normal. In fact, the real issue behind Uber’s struggle with its pricing could very well lie in the company’s inability to effectively communicate the advantages of surge pricing to its users. 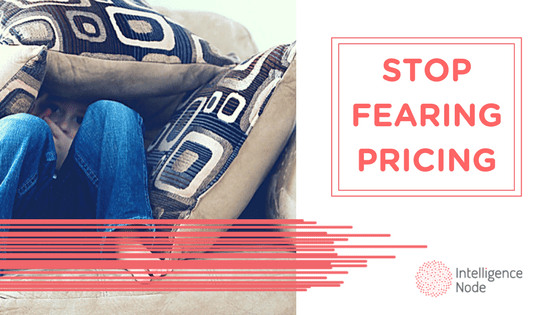 Whenever price increases are involved, it’s imperative that they are handled with a delicate hand and that your marketing hinges on overcoming customers’ natural bias against paying more. Whether or not they understand the reasoning behind it will inevitably shape their perception of the pricing as well as the company as a whole. Aside from Uber’s faulty marketing in conveying the logic in surge pricing (thereby shaping public perception), the company’s adoption of automated pricing is actually one that continues to be embraced by many eCommerce sites, including leaders like Amazon. Since pricing is one of the predominant factors in determining the likelihood of a purchase, automation can help remove the guesswork and optimize the balance between offering great deals and fostering profitable long-term customer relationships. Even surge pricing can work if it’s implemented just right and the market shift remains within reasonable limits. Granted, how automated pricing works best for your business will depend greatly on the specifics involved in your target audience, your product/service and your industry in general. Yet, we highly encourage you to look into automation as a key tenet of your pricing model going forward. More than anything, Uber’s struggle with surge pricing underscores the integral role that proper communication with consumers has in determining the reaction to your business policies. How you market your product and portray your company will feed into how heavily your prospects consider the value you can bring to their lives. Even though Uber’s execution of surge pricing may have been less than ideal, the takeaway here should center on the strength and power that you can gain with automation. There’s a reason that it has become one of the most reliable tools to streamline your operation and maximize performance, and your pricing will benefit from incorporating some form of automated system in the immediate future.